One More Time, What am I Doing? Dr. Wilbert McLeod Chapman, University of Washington Special Collections. I’m feeling a little pompous for having grandly announced I’m writing again, and certainly on something predictable, at least for me. I am trying to make my work more accessible, because it is important to have new stories about the natural world and the linkages between people, fish, and oceans. 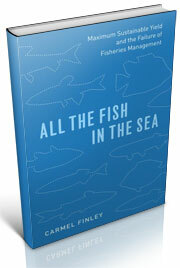 I intend this book to tell a story of how fishery science developed in the Pacific Ocean. I know this will strike some people as very parochial; Sidney Holt has told me many times my work needs to be more integrated to into Atlantic fishery management. 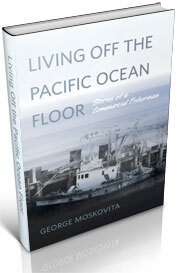 Broadly, I am still interested in how American foreign policy continued to shape fisheries science after 1945, with the establishment of the Pacific Oceanic Fisheries Investigations, established in Honolulu, the conduit for Japanese oceanography research to be incorporated into western science. American fisheries deeper into the Pacific, both for tuna, but also for king crab and bottomfish in Alaska. 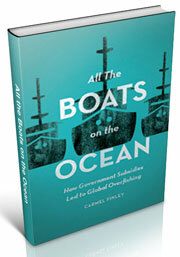 Our colleague Bob Hitz has written extensively about these early research efforts. My story starts in the 1930s, following three scientists, William F. Thompson, and three of his students, Wilbert McLeod Chapman, Milner B. Schaefer, and, a decade later, Bell M. Shimada, who are all at the University of Washington’s School of Fisheries in Seattle. It is the Depression, a very difficult time for all, but especially for fishermen who could not find markets for their fish. Thompson was director of the School of Fisheries; the position was part-time and paid $2,000 a year. As always, I will be using the blog to share interesting tidbits as I come across them, as and to try to make connections with my prior work. We’ll be doing some reorganization as well, so thanks for hanging in with us while we houseclean. [i] Harry N. Scheiber, “Pacific Ocean Resources, Science, and Law of the Sea: Wilbert M. Chapman and the Pacific Fisheries, 1945-70,” Ecology Law Quarterly, 13 (38), 383-534, 394. [ii] “Fishery Resources of the United States,” Letter of the Secretary of the Interior, March 1, 1945.